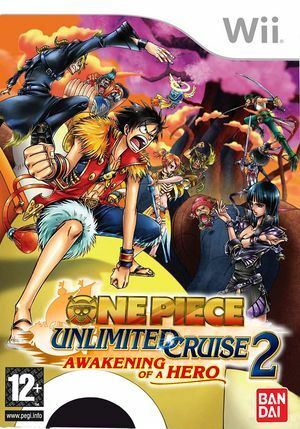 One Piece Unlimited Cruise 2: Awakening of a Hero is a video game for the Nintendo Wii based on the manga/anime series One Piece. Episode 1 was released in Japan on September 11, 2008, with the second and last episode released February 26, 2009. Episode 2 have been released in Europe on June 19, 2009 and September 25, 2009 respectively. Fishing with emulated controllers is difficult. It requires holding A to "Swing" the nunchuk then releasing A to cast, to properly fish configure X and Z shake, now what you need to do is hold the button you set on swing hold the 2 shake and release A. The graph below charts the compatibility with One Piece Unlimited Cruise 2: Awakening of a Hero since Dolphin's 2.0 release, listing revisions only where a compatibility change occurred. This page was last edited on 16 January 2018, at 08:15.